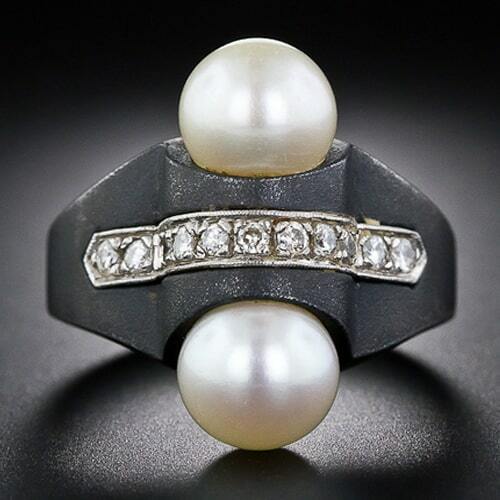 Marsh & Co Art Deco Blackened Steel Pearl and Diamond Ring c. 1930. The venerable San Francisco firm of G.T. Marsh & Co. was founded in 1876 by Gorge Turner Marsh. Born in Richmond, Australia, Marsh was fifteen when his family decided to immigrate to the United States on a route that included a stop in Japan. Enamored of the country, he was able to persuade his family to let him stay in Yokohama where his father secured him a position at a tea import/export firm. Joining his family in San Francisco a few years later, he used his experience and enthusiasm to open one of the first Asian art galleries in the United States, the aforementioned G.T.Marsh & Company: Japanese Art Repository. 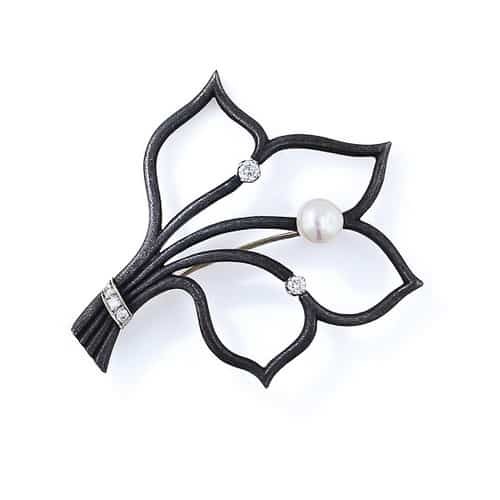 Marsh & Co Blackened Steel Pearl and Diamond Brooch. During the 1930s, while specializing in Asian antiques and art, the firm started producing their own unique stylized jewelry. Most distinct was their combination of oxidized steel with traditional Asian materials such as pearl, coral, and jade. Marsh & Co. jewelry is not usually signed but is easily distinguished by its design and materials. The firm, run by the third generation of the Marsh family, closed its doors in 2001. 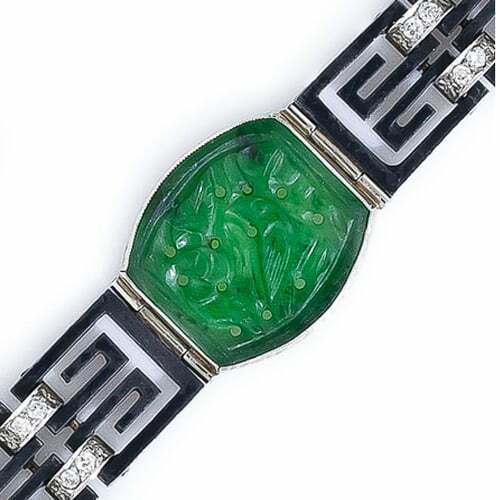 Marsh & Co Art Deco Blackened Steel Jadeite and Diamond Bracelet. Weber, Barry. Marsh Jewelry. Antiques Road Show, PBS; Biloxi, MS 2011.